As a consultant paediatrician, I deliver a one hour seminar to our medical students several times a term. I have the coveted before-home time slot for ‘essentials of paediatric nutrition’, which aims to encompass the investigation and management of faltering growth, the aetiology and treatment of obesity, and all infant feeding issues. Luckily I talk fast. Of course, I’m joking. Covering the syllabus in that time means focusing on key points, and one way I try to do this is encourage the students to set the agenda. At the start of the seminar, I plot out on a whiteboard what they want to get from the session. The students always ask me to cover the different types of formula. In fact, their syllabus emphasises breastfeeding, but their preoccupation is with learning components of, and indications for, breastmilk substitutes. This is manageable rote learning, standard in undergraduate education, easy to put on a flashcard and commit to memory for exams. It also connects to the overwhelming societal perception that formula is the default feed for babies. It is much harder to open up a discussion about breastfeeding and accept that we, as doctors, know almost nothing about it because we aren’t seeing it or learning about it at medical school. Of the twenty or so students in each session, often only one or two have seen a baby breastfed at all. Usually no one in the room has seen a child over the age of one nursing. The ignorance around breastfeeding continues into our postgraduate curriculum. The ‘breast is best’ message is emphasised (although that has been superseded elsewhere by the ‘breast is normal’ message) but without the backup of grounding in lactation physiology and how our profession contributes to what I think of as ‘iatrogenic low milk supply’ – medical practices such as separating mother and baby, delaying the first feed, not respecting the importance of skin to skin, feeding on an artificial schedule, wrongly assuming that maternal and infant medical conditions and medication preclude breastfeeding… Without understanding the science, doctors will always resort to what they have seen before, are comfortable with, and believe to be normal. At the moment, that is usually formula feeding. The World Breastfeeding Trends Initiative report flags up the holes in training for healthcare practitioners – illustrated here, the universal minimum pre-registration standards set by the GMC, the NMC and the BDA – and my experience echoes that (see Indicator 5, in Part 1 and Part 2, online). Our doctors need to realise what they don’t know about breastfeeding before they can start to learn. Recognising this is the first step on a very long road, but it is at least a step forward. Dr Vicky Thomas is a consultant paediatrician at the Great North Children’s Hospital in Newcastle upon Tyne. A generalist at heart, she has developed an interest in growth and nutrition and is passionate about the role of breastfeeding in optimising child health. Who knows breast: GPs, Midwives, Health Visitors, Paediatricians, Obstetricians, Friends, Family? As a mum embarking on a new breastfeeding journey with their baby, who could she turn to for support and advice that she can trust? How would she know that what she’s doing is “right”, that her baby’s behaviour is “normal”? Her midwife? GP? Obstetrician? Paediatrician? Health Visitor? Surely the advice and support you get from a qualified and trained healthcare professional can be trusted? The findings from the World Breastfeeding Trends Initiative (WBTi) UK 2016 Report (published November 2016) may surprise you. The WBTi UK Report (WBTi UK 2016) was based on the WBTi toolkit developed by the International Baby Food Action Network (IBFAN) to help countries evaluate breastfeeding policies and practices in a systematic way. One area that the report focuses on is health professional training and subsequent impact on breastfeeding initiation and continuation rates across the UK. Worryingly the report highlights many gaps in the pre-registration training of some healthcare professions in the area of infant and young child feeding, particularly in the practical aspects of enabling mothers to initiate and continue breastfeeding. Following qualification, healthcare professionals are then expected to undertake in-service training in infant and young child feeding. The WBTi UK Report reveals that provision and uptake of these courses is limited. So what does this mean? The very healthcare professionals our new mums ought to be able to trust to give them the right advice may not be the right source of information to enable a mum to breastfeed successfully. It’s through no fault of the healthcare professional, but rather the fault of how their initial training and ongoing training is structured. Therefore their advice and support might often based on personal experiences and/or out of date practices. Not only that but our healthcare professionals also have to work in line with their own NHS trust policies. These differ between trusts and are based not only on NICE guidelines but also considerations such as the skill set of staff and trust finances. The issue with all this? Published in November 2012, the 2010 Infant Feeding Survey showed that the initial breastfeeding rate in the U.K. was 81%. Across the UK, at three months, the number of mothers breastfeeding exclusively was 17% and at four months, it was 12% (Infant Feeding Survey 2010). However, exclusive breastfeeding at six months is only around 1%. But with the infant feeding survey being cancelled last year and lack of any national leadership or strategy in infant feeding, what hope do we have to improve these figures? What hope do we have of changing the way our health professionals are trained and how their on-going training is structured? Some people might ask what’s wrong with these figures presented above. In doing so, they reflect a society, our society, in which formula feeding has become normalised. Where friends and family see formula as “just as good” as breastmilk and don’t have their own personal experiences of breastfeeding in order to support new mothers. The World Health Organisation recommends exclusive breastfeeding up to 6 months of age, with continued breastfeeding along with appropriate complementary foods up to two years of age or beyond. It is not within the scope of this post to explore the reasons behind this recommendation, more this article is to raise the issue that breastfeeding families have a dwindling pool of resources from which to obtain support during their breastfeeding journeys. Breastfeeding families are unlikely to be able to rely on advice from healthcare professionals, friends or family. That’s a lonely existence. How can we change society and health care for new mothers and babies? All is not lost though. The Unicef Baby Friendly Initiative, launched in the U.K. in 1995 (Unicef UK Baby Friendly Initiative 1995), is based on a global accreditation programme of UNICEF and the World Health Organisation. It is designed to support breastfeeding and parent infant relationships by working with public services to improve standards of care. 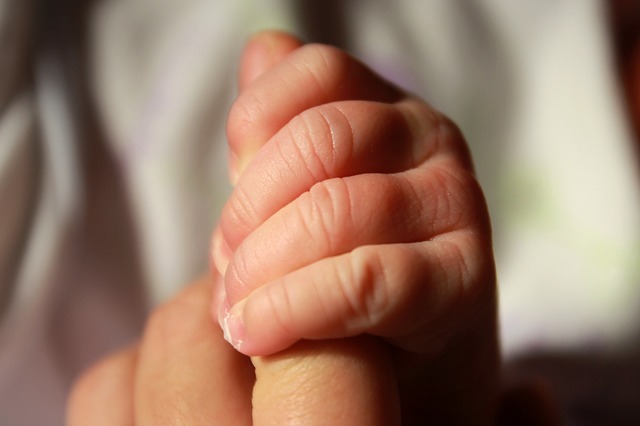 Maternity units and community facilities have the option to become Baby Friendly accredited and in order to do so are required to provide training for its midwives and health visitors. While the majority of maternity units (91%) and health-visiting services (83%) have achieved or are working towards Baby Friendly status, the remainder have not commenced the process. Therefore new breastfeeding mums can hope that the situation is improving and healthcare professionals that have undergone Baby Friendly training will start to provide the trusted information that mums deserve. But this will require quite a culture shift change within the NHS and this will take time. There is also lots to be done with the image of, and marketing of infant milk so that “normal infant feeding” moves away from formula and focusses on breastfeeding. Our society needs educating and this will also need the support and investment from the government. Kate Butler is a Secondary School Biology teacher by day and mother to two boys (aged 1 and 3) day and night. She trained as a breastfeeding peer supporter in 2013 and since then has set up local peer support meetings in her local area and joined the committee of West Herts Breastfeeders to support with fundraising and event management. 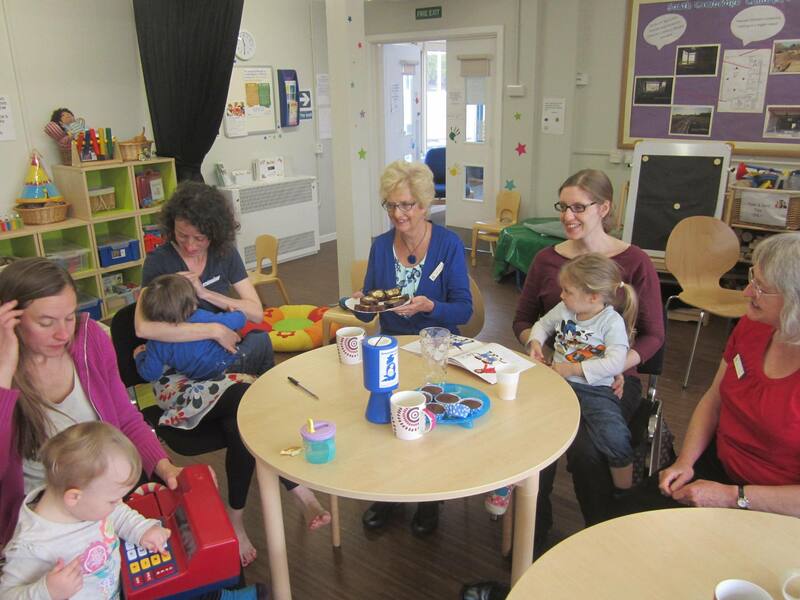 West Herts Breastfeeders is a community based mum to mum peer support group that supports breastfeeding families with their breastfeeding journeys in the community and within West Hertfordshire Hospitals NHS Trust. This post was first published on Kate’s blog, The Instinctive Parent (www.theinstictiveparent.org), which she started to share knowledge and help further educate parents to help them make properly informed decisions and choices in how they choose to parent. Most mothers in the UK want to breastfeed, yet most mothers stop breastfeeding before they want to. Why? The fact is that while breastfeeding is natural, mothers need skilled support to be able to breastfeed. Yet many of the health professionals who work with mothers and babies do not have the knowledge or skills to help them. Indicator 5 of the WBTi examines how well healthcare systems support breastfeeding. It looks in detail at the training of all health professionals who interact with mothers and babies – midwives, health visitors, GPs, paediatricians, lactation consultants and others – both before and after they qualify in their profession. You can see the full education checklist here. It also asks whether health workers understand their responsibilities under the International Code of Marketing of Breast-milk Substitutes, and whether mothers and babies are able to stay together when one of them is sick. Support for mothers comes from many sources, not just health professionals. It can come from family, friends, the community at large, and particularly breastfeeding peer-support groups. In the UK, these are run by organisations like the Association of Breastfeeding Mothers, Breastfeeding Network, La Leche League, NCT, as well as by the NHS itself. Mothers who have breastfed their own babies – and who have received training to provide breastfeeding support – are able to provide valuable help to new mothers. Trained support is needed at all levels, from peer supporters to lactation consultants. Click here for details of the different roles. Peer supporters are “informed friends” who can help mothers understand what’s normal and help with many common breastfeeding concerns. They offer a compassionate and empathetic ear to new mothers. This importance of this community-level support is recognised in Indicator 6 of the WBTi, which looks in detail at access to skilled mother support and community outreach. Good peer-support programmes can increase the length of time that mothers exclusively breastfeed their babies. In other words, they can help mothers who want to breastfeed to carry on for as long they choose.